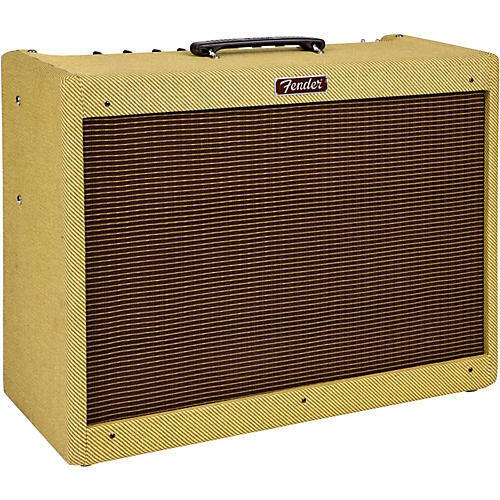 Voiced for classic blues, country and rock styles, the Fender Blues Deluxe Reissue guitar amp is like a great old collectable 1950s Deluxe customized with channel switching and Reverb! Features an all-tube preamp and power amp, 40 watts of power, normal and drive channels, chrome control panel, and included footswitch! Dimensions: Height: 18.75" Width: 23.5" Depth: 10.5"